The National Day of Mourning is observed annually in Canada on April 28 to honour those who have lost their lives while working on the job. 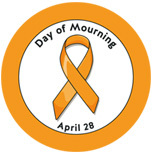 The purpose of the National Day of Mourning is two-fold … to remember and honour those lives lost or injured and to renew the commitment to improving health and safety in the workplace … to prevent further deaths, injuries and diseases from work. Every year workers, families, employers, communities and others come together at ceremonies held around the province and the country to remember those who have lost their lives to work-related incidents or occupational disease, and to renew their commitment to creating safe workplaces. Since its inception, the observance has spread to over 80 countries around the world, but is known in most other countries as the Workers’ Memorial Day. The Canadian flag on Parliament Hill is typically flown at half-mast on April 28, and workers and employees observe this day in various ways including observing moments of silence. To mark our school district’s commitment in observance of the National Day of Mourning on April 28, Coast Mountains School District flags will be lowered to half-mast on Friday afternoon, April 27 and raised on Monday, April 30 prior to the start of school. For more information, please visit the BC Day of Mourning website at dayofmourning.bc.ca. On March 23, 2018 SmartFindExpress performed an update which has led to some on-call employees receiving calls but being unable to connect to the system. We have a new option that is not turned on for your district. The option will need the sub to only enter their pin, and there is a playback to verify what was entered. This new option has helped reduce many invalid entry phone issues for the subs. 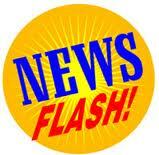 You will want to notify the subs that when the system calls they will just need to enter in their pin only. The system will play back the digits received and then they can confirm or re-enter. SmartFindExpress believes that turning on this feature will resolve the issues of on-call employees being unable to connect. Effective April 6, 2018 after morning call-out we will activate this feature. Should you experience any issues, please include as much information as possible (date, time, job number, nature of the issue) and email hr@cmsd.bc.ca. If you have questions or you require immediate assistance, please contact Richard Anderson, Automated Dispatch Help Desk Clerk at 250-638-4439 or 1-855-635-4931, Local 4439 between the hours of 6:30 a.m. to 2:30 p.m. The second of two Curriculum Implementation Days for the 2017-2018 school year will be held on Friday, April 13. These days are specifically dedicated to BC’s redesigned K-12 curriculum. Should you have further questions or require additional information, please contact your School Principal for assistance. A friendly reminder that all teaching staff are expected to be in attendance in one of the full-day sessions. Sign-in sheets will be on-site to document attendance. Individuals not present at a session will not be paid for the day. Not unlike any other non-instructional day, part-time employees will be expected to attend the day at a rate consistent with that of their employment (if you are a .6 FTE employee, you are expected to attend for 60% of the day). Individuals are more than welcome to attend a greater portion of the day on a voluntary basis if they so desire. Teachers Teaching-on-Call are also welcome on a voluntary basis as desired. CUPE members are welcome at the sessions, however, CUPE staff are responsible to their School Principal for activities of the day. A special thanks is extended to the Curriculum Implementation Committee for their efforts and organization for this significant and important work for Coast Mountains’ learners. We look forward to inspiring and engaging with you on April 13! Last Friday, the B.C. government announced a change to BC’s Family Day. Starting in 2019, BC’s Family Day will move to the third Monday in February (instead of the second Monday of February). In light of this announcement, the proposed 2018-2019 School Calendar was revised to reflect the BC Family Day date change effective 2019. 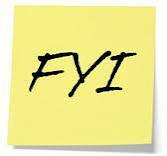 As a result of this date change, the Curriculum Implementation Day scheduled on February 22 was rescheduled to February 15. The revised school calendar also reflects the June 21 National Indigenous Peoples Day, noting this is a Regular Day of Instruction. Coast Mountains Board of Education School District 82 is seeking public feedback regarding the “revised” 2018-2019 Proposed School Calendar. If you have completed the initial survey, much appreciated if you could complete the survey again as it has been changed to reflect the revised school calendar information. 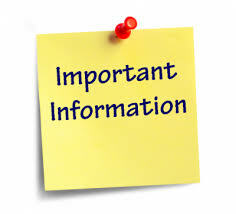 For your information and viewing, please find the “revised” 2018-2019 Proposed School Calendar and Backgrounder as prepared and presented by the School Calendar Committee, an all-partner consultative committee formed by the Board of Education provided with a mandate to guide the development of a school calendar for the 2018-2019 school year. Public feedback is welcomed by February 18, 2018, by completing the revised School Calendar Survey (reference link below) or by forwarding your comments by email to carole.gagnon@cmsd.bc.ca, by fax to 1-888-290-4786, or drop off/mail to Coast Mountains Board of Education School District 82, 3211 Kenney Street, Terrace, B.C. V8G 3E9. 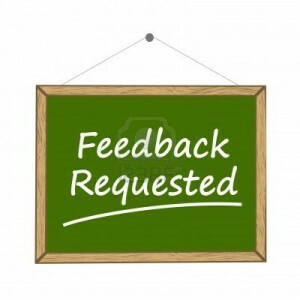 A summary of all responses and feedback received will be reviewed by the Board of Education. The revised 2018-2019 Proposed School Calendar will then be considered at the Regular (Public) Meeting of the Board to be held on February 28, 2018. For further information, please contact Carole Gagnon, Executive Assistant at the Board of Education Office (250) 638-4401 or 1-855-635-4931, Ext. 4401.